Arjuna looked around himself. The Sun was shining brightly on Krukshetra. The scared land of Kuru. It was from this place, where it all began….. He saw an endless sea of warriors stretched perheps till end of this world. This was not his main concern. He knew what the end result was. He knew himself from within. He knew it right. All the sages and heavenly spirits were ready to assist him in this final battle. Arjuna sensed his Gandeeva. 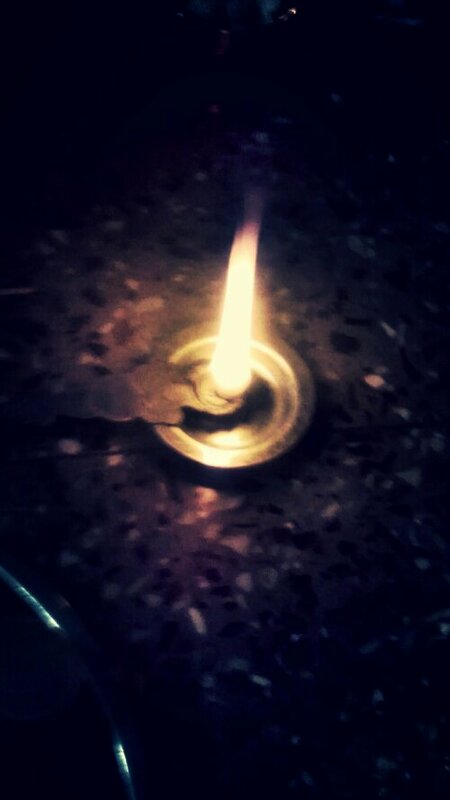 It was still shining as it had been gifted to him by Lord Shiva. The Gandeeva had the sacred powers of the mighty Mahadev. On top of it, it had a deadly combination of Narayan Astra and Brahma Astra, ready to strike terrors in most mighty enemies. Arujna had faith in his weapons. He had blessings of his Guru Drona…. Guru Drona….Suddenly, Arjuna felt weak. Guru Drona. The learned Brahmin warrior. The old man who had both the blessings of Saraswati and Mahakali. The same warrior, who had granted Arjuna the power of wisdom and knowledge a time ago. The teacher of Arjuna. Arjuna remembered all his childhood days. The first day in Dronas ashram…. The first fatherly affection and guidance, unknown because of Pandus death…… The first tones of Freedom in wisdom and sacred Vedas, all learnt at Dronas ashram….. The first bow…..The first arrow….The eye of bird…Eklavyas sacrifice….The blessings of Guru…..The victory at Draupadis Swayamwar…The insult in court of Hastinapur…The Promise….The pain from where it began…. Arjuna felt weak in his moral strength on seeing the thin, frailed Drona. After all, Drona was his Guru. How can one kill a Guru? Guru is as important as the Creator, the Protector, the Destroyer.How can it be possible? The confident hold on mighty Gandeeva loosened a bit..Arjuna looked at Brahma Astra. This as the greatest gift of the Guru to his favourite disciple. The ultimate protector in War. Any man possessing it was considered God. Drona was one of amongst them. How selflessly he granted the ultimate weapon to Arjuna. He had complete faith in Arjunas capabilities. More then what he had in his Son Ashwathama. ……Will I be a slayer? Am I a killer? What is use of a kingdom, if I will be a sinner? I will burn in seven Hells till eternity. Killing the Brahmin is a sin, that is unforgiven by God. On top of it, its Drona !!!! My guru. The first guide in this life after Kunti. Can I do it???……. Arjunas mind was beginning to engulf in a major crises. Krishna smiled to himself. The time was about to come soon….. Pretty cool post, I like to learn about other religions. Really nice..does this end here? 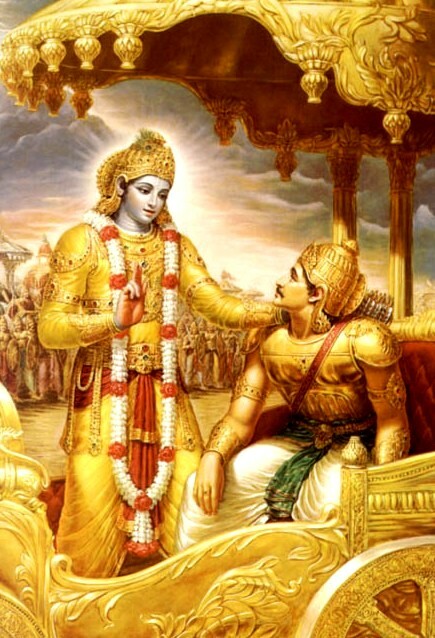 I wanted to read Lord Krishna’s words to Arjuna. Please read the ‘Shri Bhagwad Geeta’, a book meant to enlighten all humanity. You can read a great article here.. Naturally, you chose to go on vacation when Google published the results of Wordmasters. Is it hibernation? Hello Harshad, It is Google’s loss that they did not find a volcano of talent in the guise of Harshad Joshi, Hari Menon, Deepa, Bot Hack etc. If they couldn’t find talent here, I can assure the gentlemen in Google that they will NEVER find talent anywhere in the world. This is because they have started a) over-rating themselves b) failing to spot real talent due to a bloated ego, c) they themselves do not know what it is they are looking for and d) they have all the curses of the 3000 odd participants in India dogging them throughout their lives. Somehow I am till date not able to buy the story that the results were posted on a little known website by the name of Techshout. The whole episode reeks of vendetta and sabotage. It has killed something inside the thousands of contestants who took part so enthusiastically in the Wordmasters contest. Many had taken precious time out from family, friends and offices so that they do not miss the opportunity. If you remember, the contest was held on the most holy day of the Hindu calendar: it was the most important day of Dussehra and Durga Puja. Was it a planned attempt to rob so many people of other important agendas at hand? I am sorry Harshad, but I find that a talented person like you should be looking for a job beyond Google. You can tell this to others who are crest fallen at Google’s arrogant attitude. This certainly is not the sort of treatment given to a self respecting, educated citizen of the world’s largest democracy. But then we should be ready for all situations in life. I know its very easy to say this in a perfect controlled environment, but then most of the times, certain things are completely beyond our control and our reach. The moment we accept this fact, let me tell you – You actually begin to conquer your sadeness and anger. By doing this, one can completely eradicate the unwanted disturbance and focus on good things that come by our way. Anger is a very natural feeling. Esp when its apparant that we dont get what we deserve, we tend to become angry. Anger makes us aggressive and we just tend to lose the focus from our tasks, which may result in interesting and unexpected outcome. Just try channelizing the anger into a proper way and trust me – You will feel much better. My option is to go on long drives or listen to music. It helps me to keep my mind at comparative control and peace. Regarding behaviour of MNC’s. There is some truth in that, and it will change, but it wil take some time. those unseen dangers, already present on the Faded path.. Protect the tribe marching towards their journey..
can u tell me about aswini and vajroli mudras? ‘Burn Evil desires’ is a metaphor used to represent enemies, difficulties, pain and grief that might hamper the journey to the Himalayas..
thanks for ur answer, but can u writing a article specifically for this topic ? or where i can find out this topic ?